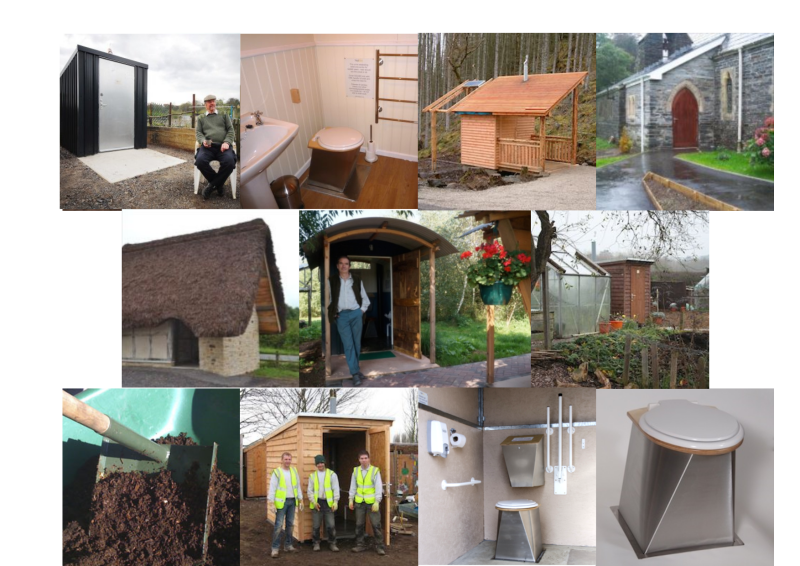 NatSol can often supply buildings to the customers design, see also Customer Designed examples. 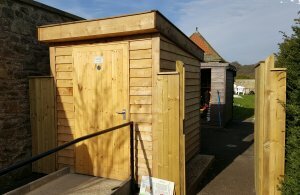 Description:For this site we supplied a lean-to building for our popular Full Access toilet. 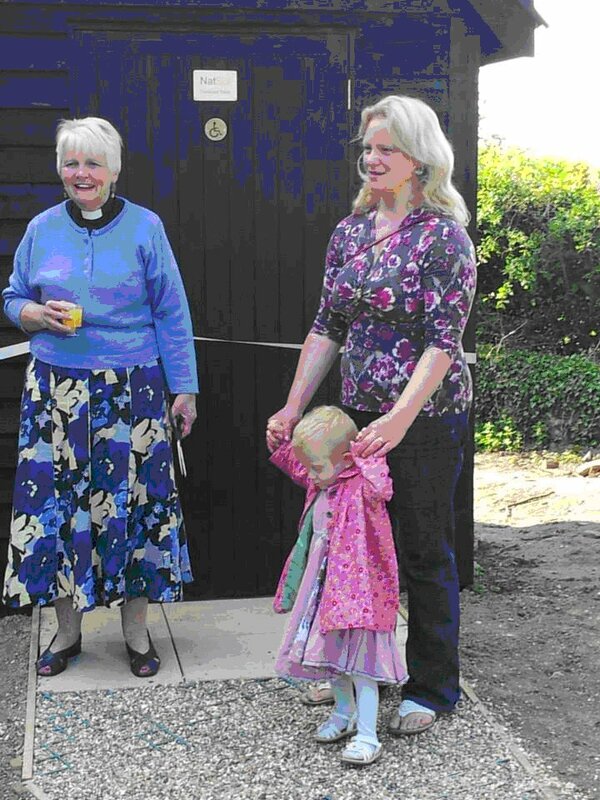 This enabled our client to set the toilet against an existing out-building in the church grounds. The roof structure was supplied by NatSol and the roofing material was supplied by the customer to blend in with existing materials on the site. You can download information on this option below. Description:This waterless, passively vented toilet is situated just outside a walled garden. 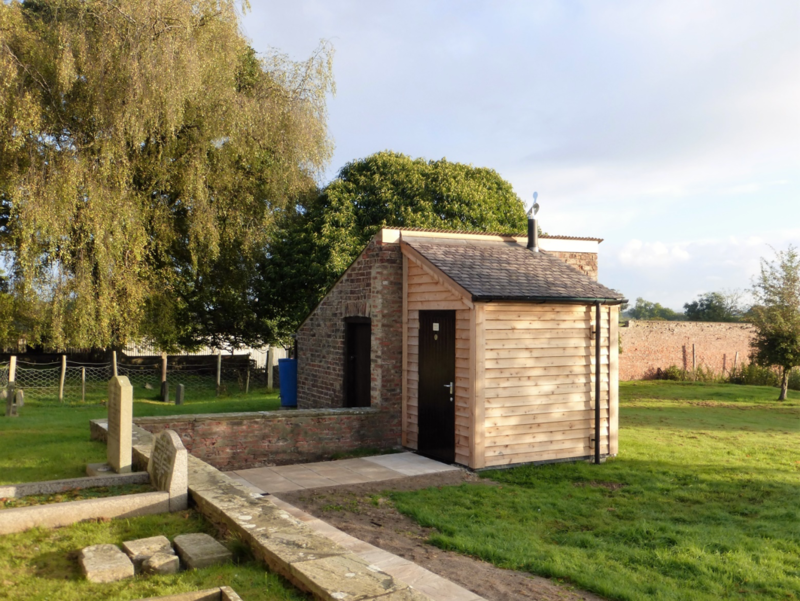 We supplied a timber building with roof suitable for turf which was added on site. Description:A wheelchair accessible toilet not requiring any mains services. The bespoke building supplied by NatSol has a double pitched roof. NatSol supplies the roof structure and a membrane to provide immediate weather protection. The customer and their contractor supply the roof tiles or other roof finish and the rainwater goods to fit in with existing buildings on the site. Description:Prior to making this installation engineers had to go off-site to find toilet facilities. We fit alcohol based gel hand cleansing dispensers as standard and so no water supply is required to our toilet facilties. 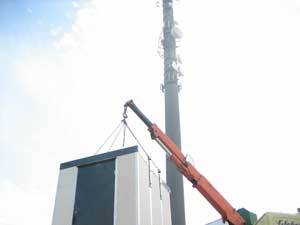 To save time on site the custom designed building was pre-assembled and craned into position.